This page list and has links to sites with Books about Gosport or have been written by people who live in Gosport, has lived in Gosport or have links with Gosport. Local Music and Video. Also incudes book shops, publishers and producers/ editors/ film makers. 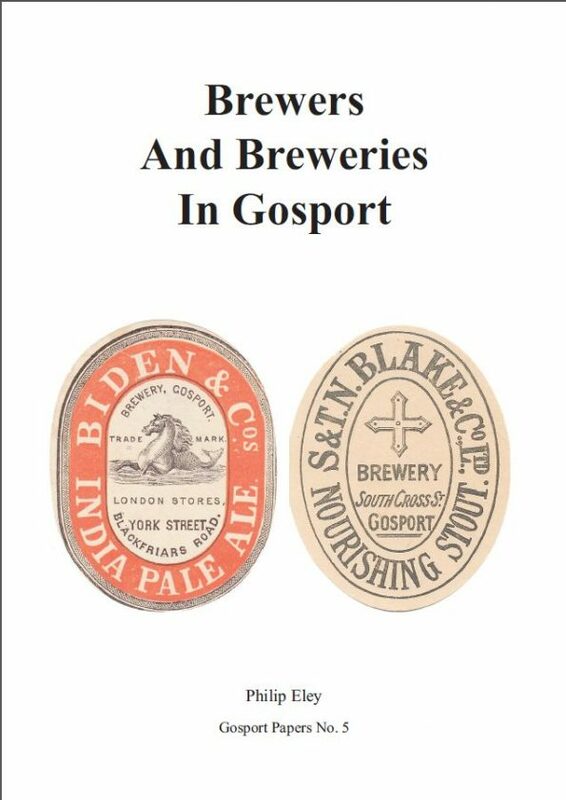 A new local history publication “Brewers and Breweries in Gosport” has just been published, the fifth in the Gosport Papers series written by local historian Philip Eley. Covering the years from the 1300s to the 1930s breweries great and small are mentioned with brief biographies of some of the brewers and their families. The largest of all of them, the Navy’s Weevil Breweries, plus the two that survived into the twentieth century (Biden’s and Blake’s) are covered in particular detail. A theme running through the book is the development of the “tied house” system, where brewers bought or built their own public houses, which is linked to the influence of government taxation, national licencing laws, and the development of Gosport as a town. Another theme is the effect of competition from breweries outside of the town, particularly from across the Harbour in Portsmouth. There is also a brief look at the handful of new small breweries which have existed since the start of the 21st century. This 52 page, A4-sized, booklet, with colour and monochrome illustrations, is now on sale at the Tourist Information Centre at Gosport Bus Station, and at Elson Library, priced £6.